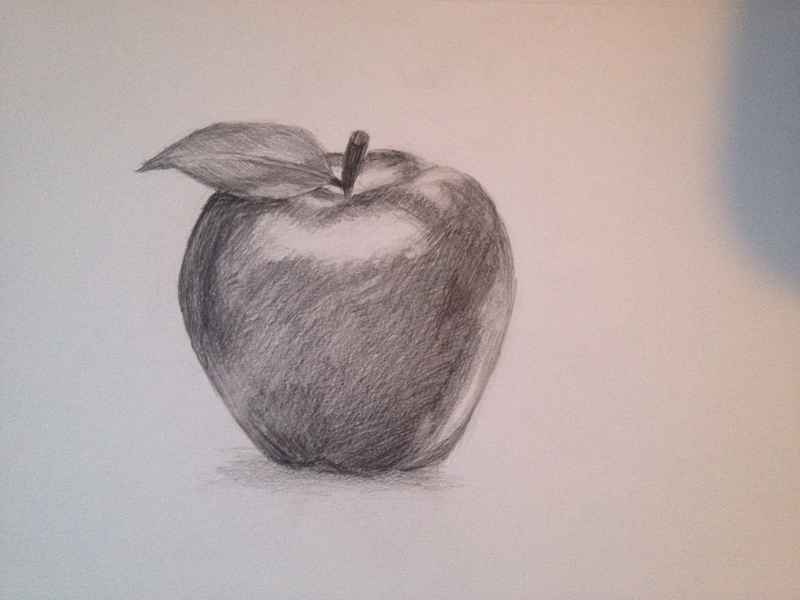 Ok… So here is a couple videos to illustrate the drawing of the apple. I used 3 different pencils (7h, HB & 3B) and 2 erasers. First I lightly sketched the general shapes with the 7H pencil. Next I put in a general value to establish a sense of weight using the HB pencil. I then started to remove a bit of that to start the highlights coming through. My “secret technique” is simply rubbing with my fingers; a very old technique. The oils in your skin help the graphite smooth out and create nice shading. Next I worked on contrast adding darker areas with the 3B pencil and worked the highlights a bit more. At this point it’s just continuing what we’ve done to achieve our goal. It’s looking and interpreting the lights and darks. With a still life object I don’t kill myself with making it exact, rather just more realistic. This DOES take practice… I’ve been drawing since before I could walk and I’ve been walking for a LONG time. 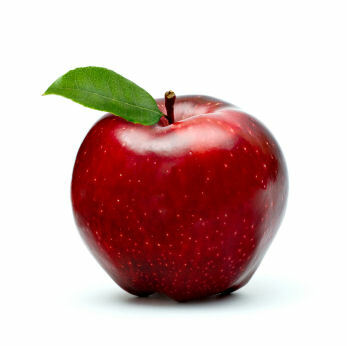 The shading on the leaf is subtle and some shadow underneath the apple gives it a greater sense of weight and depth. Here is the original photo again and my final sketch. The total time spent for me was about 30 minutes, including the video. I hope you had fun and learned something. Feel free to ask questions! !